This section is devoted to items sold under the G.I. 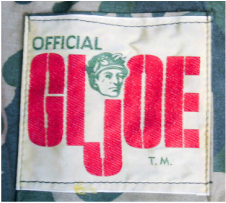 Joe logo that were manufactured by companies other than Hasbro, or non-action figure Hasbro items. When retail sales of GI Joe took off, Hasbro quickly recognized that they could expand the brand and their market by creating more for kids to buy. 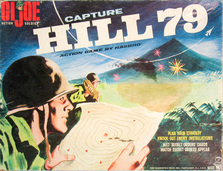 They capitalized on their existing products, like doctor kits, pencil cases, and games as well as entering into agreements with other manufacturers to sell "Official G.I. Joe" toys. If you have rare or unusual items of this sort not pictured on the site, please contact me!